Moda Mindanao is all about Mindanao pride, creativity, intricate artistry and exceptional demonstration of sublime material culture. WEV is so delighted to be on the front row (Thank you, Jesse for the invitation) and to have witnessed this long-running fashion design competition in Southern Philippines as it staged its 12th season final runway presentation held at SM Lanang Premier on Aug. 20. 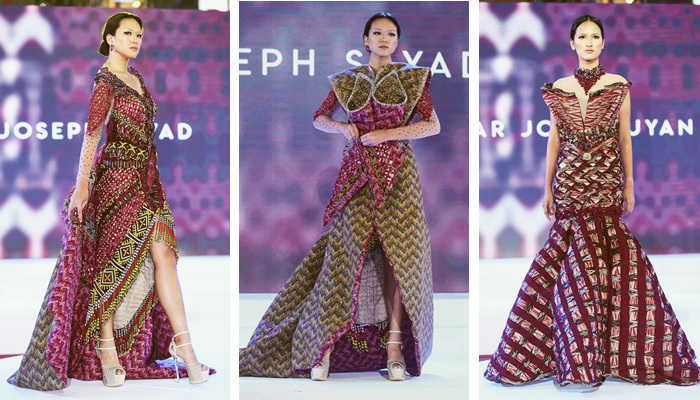 Eleven young designers presented their unpublished and original creations each with its own contemporary interpretation and amalgamation of Mindanao textile, patterns, materials and culture. Moda Mindanao is supported by SM Supermalls as it aligns with their campaign, Festive Mindanao. This design competition is a significant fashion component that focuses on local culture and fashion with Mindanao SM malls as venues for cultural and artistic convergence. 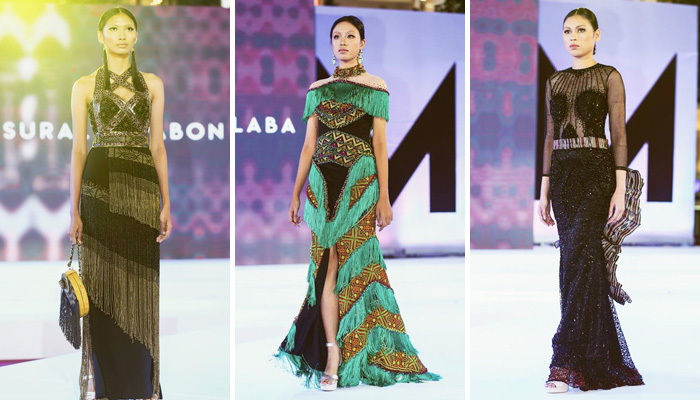 “Today, Moda Mindanao, the longest-running fashion design competition in Southern Philippines continues to celebrate contemporary interpretations of Mindanao culture and artistry. It is fuelled by the passion of young fashion designers and SM Supermalls support in promoting innovation and artistry in fashion in the south,” said Russel Alaba, SM Supermalls AVP for marketing in Mindanao. Moda Mindanao 12th season focus on the theme, “Demi-couture: Fashion in the Age of Technology.” This subject intend to bring Mindanao’s fashion to a whole new level by utilizing technology to promote, conserve, preserve and develop fashion artistry and aesthetics in Mindanao. Competing this year are young designers; Mark Suralta Pabon, Gelmar John Buyan, Keith Wilton Piz, Pete Bryan Jabel, Mark Joseph Sayad, Kian Deocariza, Jan Rey Legada, Klevin Remoto Bartolaba, Jethrolouie Sebastian, Raymond Umpa and Ryan Jhey Hermo. Prêt-à-Porter for Women and Evening Wear for Women are two of the categories being competed this season. Mark Suralta Pabon was named winner for Prêt-à-Porter category and Gelmar John Buyan for Evening Wear category. Winning design of Mark Suralta Pabon, Prêt-à-Porter for Women category. Magazine editor and stylist, Pam Quiñones, stylist and Herman & Co. creative curator, Bea Constantino and stylist and Inquirer To be You editor Luis Carlo San Juan were Moda Mindanao’s 12th season panel of judges. Congratulations, Moda Mindanao and looking forward to attending the 13th season. 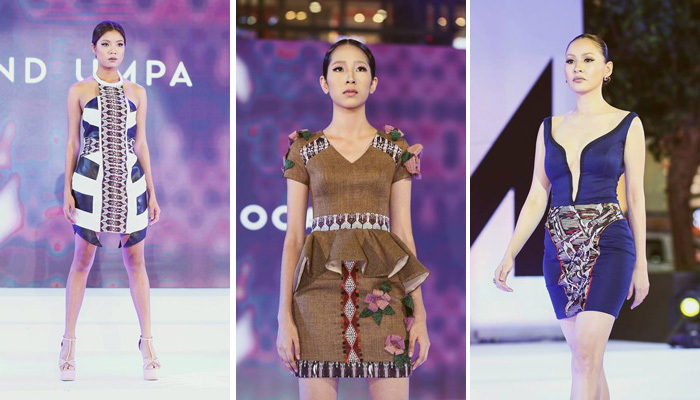 For me, Mindanao fashion is not just relevant in Mindanao anymore. 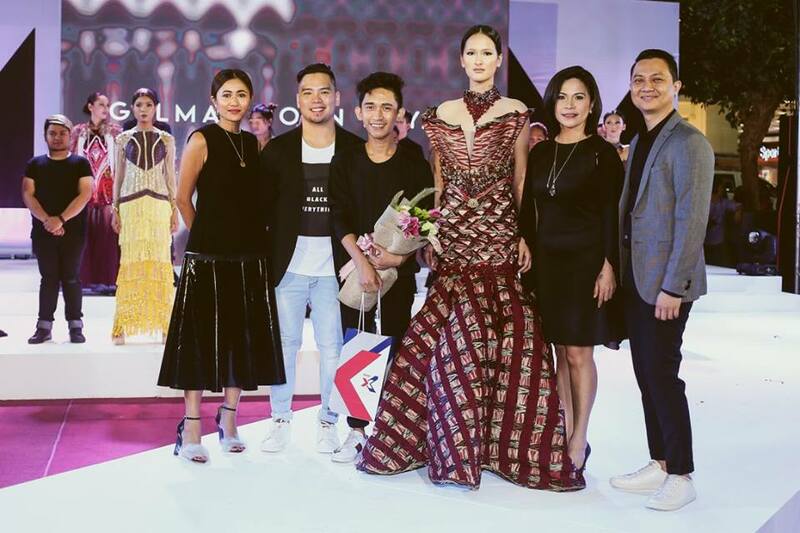 With the growing number of talented designers southern Philippines has produced it is just a matter of time, Mindanao designers are going to hit it big, not just in Manila but globally as well. Mindanao has the richest elements when it comes to textile patterns, details, colours, overwhelming source of indigenous materials and diverse cultural inspiration. These plethora of resources are just waiting for the next brilliant minds and artistic hands to create exceptional pieces for the world to see.